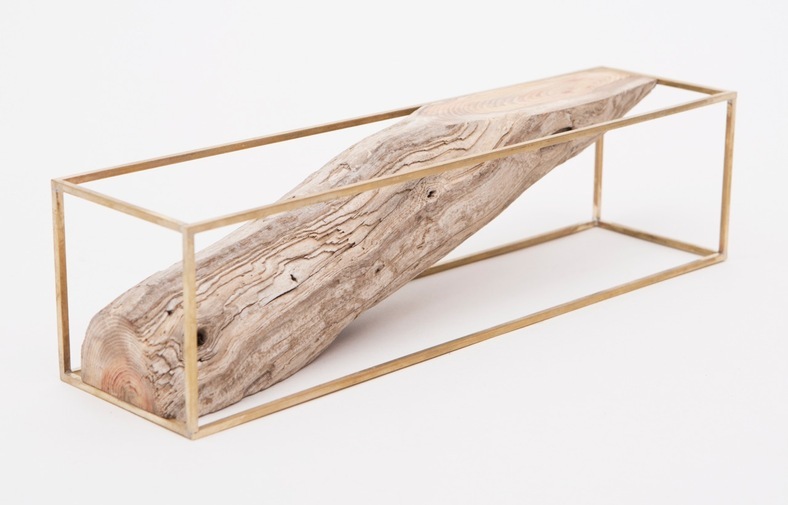 Geological Frame, featuring a series of geometric sculptures framed with brass and infilled with wood mass that reveal a landscape of varying topography. Huy Bui's first Solo show debuted at the Patrick Parrish Gallery in New York City, Spring of 2016. These objects can be arranged or stacked to form other objects. 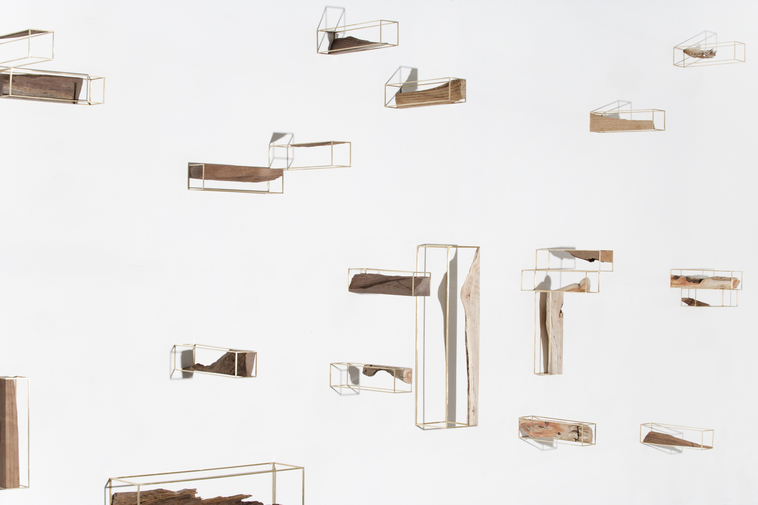 Geological Frame continues Bui's ongoing exploration of the relationship between nature and design. April 19th through May 9th.